What are the benefits of consolidating my loan? Consolidating student loans will put all your existing loans into the Federal Loan Forgiveness Program with the Department of Education. You will only have to worry about one payment instead of multiple payments. This makes it easier to manage your debt. Will my payment be reduced? In many cases yes, we can work with you and the Department of Education to reduce your payment amounts. There are multiple plans to repay your student loan, one of which is the Income Contingent Repayment Plan. This allows your payment to be based on your annual income, which often times will allow you to qualify for a very small payment and in some cases even a payment amount of zero. Is there a minimum or maximum loan amount that qualify? Can I defer my payments? Yes, once you are consolidated you may qualify to renew your deferment options. Will I retain my subsidy benefits? Borrowers will be able to retain their benefits on subsidized loans when consolidated into the subsidized portion of a consolidation loan. Am I eligible for a Direct Consolidation Loan? Borrowers must have at least one Direct Loan of Federal Family Education Loan (FFEL) that is in grace, repayment, deferment, or default status to qualify. Loans that are in-school status cannot be included in the Federal Loan Forgiveness Program. If you are in default, we can consolidate you under the Income Contingent Repayment Play or Income Based Repayment Plan. If you are already consolidated by have one loan which is not, we can consolidate that loan into your Direct Consolidation Loan. Can my PLUS Loan be consolidated? 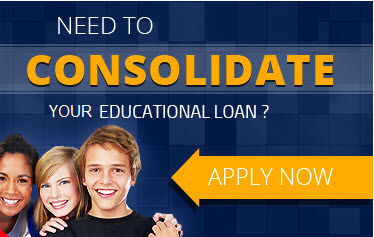 Yes, we can consolidate PLUS Loans. Can I consolidate my Perkins Loan? Yes we can consolidate your Perkins Loan into the Direct Consolidation Loan if you include at least one Direct Loan or Federal Family Educational Loan (FFEL). Perkins Loan cannot be included by themselves. There are some disadvantages to consolidating your Perkins Loan so you should consider them prior to consolidating them. • You will lose your cancellation benefits, such as performing public services. • Your grace period may be lost. • Interest Does not accrue when your Perkins Loan is in deferment. • Perkins Loans generally have lower interest rates but less fliexible repayment periods. Can I consolidate health professions loans? 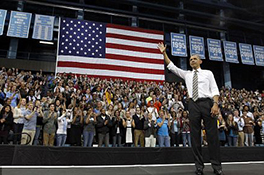 Yes, we can consolidate certain health professions loans sponsored through ther U.S Department of Health and Human Services with other Federal Education Loans into the Federal Loan Forgiveness Program. You must still include at least one Direct Loan or Federal Family Education Loan to qualify. Eligible Health Professions: • Health Professions Student Loans (HPSL) • Health Education Assistance Loans (HEAL) • Lloans for Disadvantaged Students (LDS) • Nursing Student Loans (NSL) Benefits of consolidating these loans would include lowering your monthly payment, having a longer repayment period, and having one single monthly payment. Can I consolidate if I am currently enrolled in school? Yes, but with certain conditions. Borrowers cannot consolidate loans that are an in-school status, but borrowers can still consolidate loans that are in grace, repayment or deferment. I am already consolidated, can I consolidate again? Yes, as long as you are including at least one other FFEL or Direct Loan into the new consolidation. Can I consolidate my loans that are in grace? Yes, you can consolidate loans that are in grace however you will lose any of your remaining grace period. Can I consolidate my defaulted loan? Yes, as long as you agree to pay under either the Income Contingent or Income Based Repayment Plan, OR make satisfactory repayments with your current loan holder. You cannot consolidate a default loan if a judgment has been issues against a defaulted loan which has not been dismissed. Will consolidating clear the default notation from my credit? No, if you want to clear the default notation, you will need to contact your loan holder to discuss rehabilitation with them. If you decide to consolidate while in default, your default notation in your credit will also show that the loan was paid off in full. This notation will remain on your credit history for seven years. What are the repayment plans? Can I later on change my repayment plan? Yes, most borrowers can change their repayment plan at any time once consolidated into the Federal Loan Forgiveness Program. Borrowers who are in the ICR plan must make at least 3 consecutive payments into the Direct Consolidation Loan account before changing to another plan. There is no limit to how many times you can change. Borrowers in the IBR plan can only change into the Standard Repayment Plan. How long does It take to consolidate? It generally will take 60-90 days to consolidate from when AssistingAmerica.org has processed your application. The processing of the application will begin depending on how many good faith payments are being made to AssistingAmerica.org. We offer multiple payments to ease the payment amount on the customer, or single payments to get our clients enrolled quicker into the program. When will my first monthly payment be due? AssistingAmerica.org requires the first payment to begin your documentation. This payment can be made on the first call, or scheduled for a later date. Your Direct Consolidation Loan first payment will be due within 60 days of their disbursement paying off your current loans.